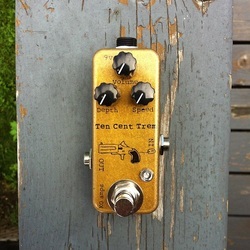 The ten cent trem is my own mashup of a few cool designs. 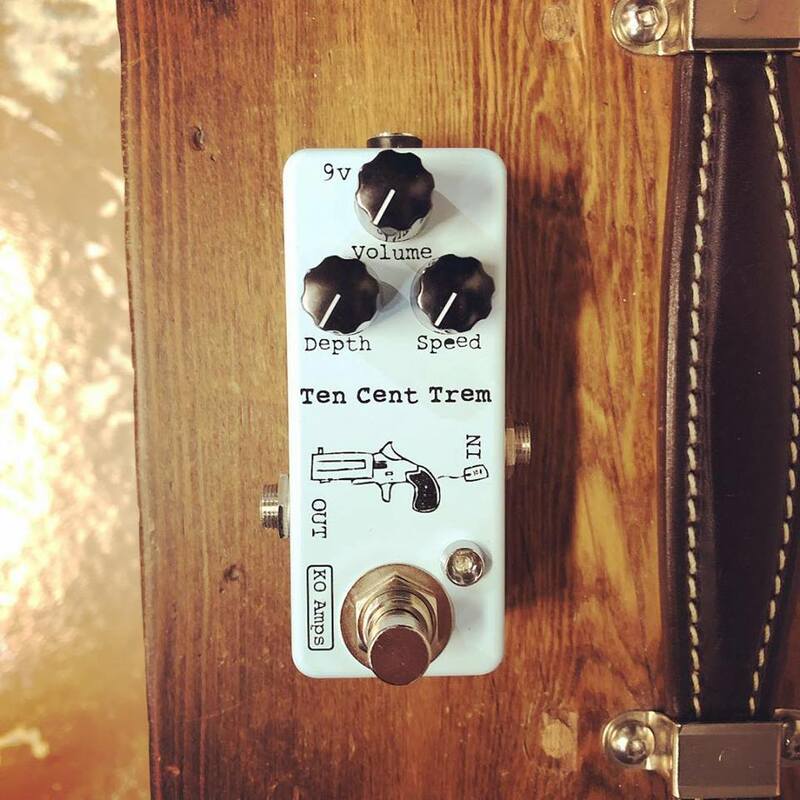 I took a Russian germanium transistor boost, buffered it so it plays nice with other pedals, then added fender amplifier style opto trem. It really nails that 'Howlin' for you' black keys tone. 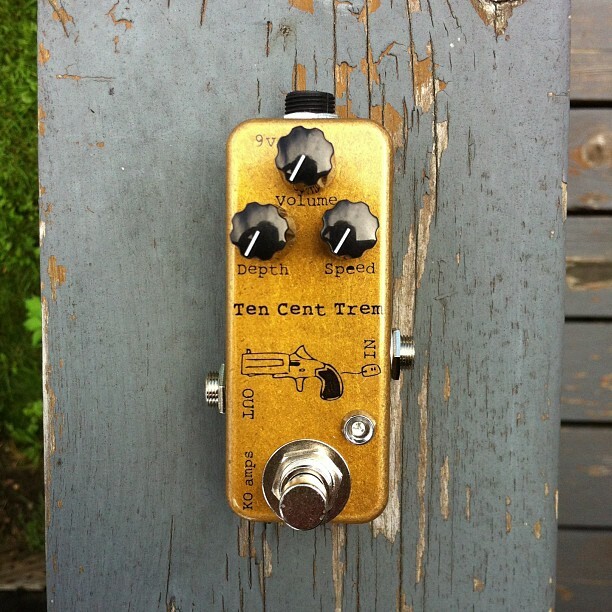 The germanium transistor adds a wonderful warmth to your tone without overpowering it. Has an external volume control for either a boost or a cut. New ones double as a wicked germanium boost with the depth all the way down. Cool 1590A enclosure for minimum pedal board real estate,. True bypass with polarity protection, like all my mini pedals runs off 9v adapter only (boss style center negative 2.1mm).